First Mile is dedicated to providing vehicle owners with a wide range of options in order to enhance the enjoyment and value of their vehicle. Along with these programs we offer first-rate customer service and support. Each First Mile product can be purchased individually or bundled with other products to deliver maximum value. This allows vehicle owners the flexibility to choose the level of protection that’s right for their specific needs. These days, most vehicles come with a Limited Warranty from the manufacturer that generally lasts for only 36,000 miles or 36 months. Once the warranty expires you pay for all service. 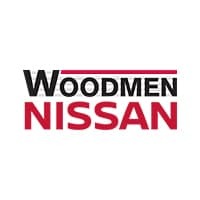 Luckily, Woodmen Nissan offers extended coverage plans to take the worry and expense out of servicing your car. Please fill out this form to request information about our Vehicle Protection Plans, and we will get in touch with you shortly. We would love to hear from you!